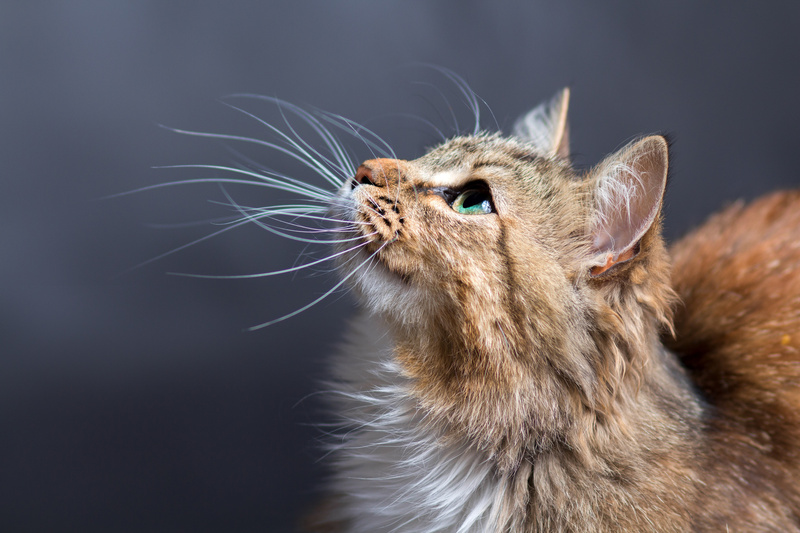 Cat Behavioral Issues: Frustrating, but we can help! Posted on April 24, 2018 by Dr. Nikhita De Bernardis. Cat behavioral issues can be very frustrating to live with. But did you know that understanding animal behavior is included as part of our veterinary training? Let’s talk about how we can help if you are having some behavioral problems with your cat. What kinds of cat behavioral issues can we help with? Common feline behavioral problems include urinating or defecating out of the box, aggression towards people or other animals, inter-cat issues, and unwanted scratching. It’s important to see a veterinarian when your cat has one of these issues. Especially if a new behavior develops, as we want to rule out a medical reason behind the behavior change. Often, when cats are sick the only way they show it is in a behavioral change. OK, my cat’s not sick. Now what? Once we’ve ruled out a medical condition, we can start working through the behavioral issue. When thinking about cat behavior, it is important to remember that cats can become easily stressed. Even when they don’t look or act stressed, they respond to environmental stress with what we call “unwanted behaviors”. We will do some detective work together to figure out what your cat’s stressors may be. This will likely involve a long discussion, and we may ask you to fill out a special behavioral questionnaire so that we have all of the information possible. A video of the cat’s behavior can also be helpful. Sometimes, we may decide together that a behavioral consultation home visit by one of our veterinarians will be the best way for us to get all of this information. After a behavioral consultation, what are the next steps? Then, we will discuss techniques (environmental modification, anti-anxiety supplements, etc) to alleviate your cat’s stressors so that they no longer display the unwanted behaviors. This often involves a lot of trial and effort and fairly constant communication with us – we change things one at a time so that we can decide what works and what does not. For this reason, it can take some time to see improvement to behavioral issues. We typically tell people to think on the timeline of six months before making significant progress. However, we will be constantly working together to make changes during this time. Our goal is for the end result to be a situation where stressors for the whole household are decreased to a level where everyone can feel at peace. We understand that these cat behavioral issues can be very frustrating! We can also discuss behavioral medication options (kitty Prozac) during this time to reduce stress while we are working on figuring out and resolving the stressors.